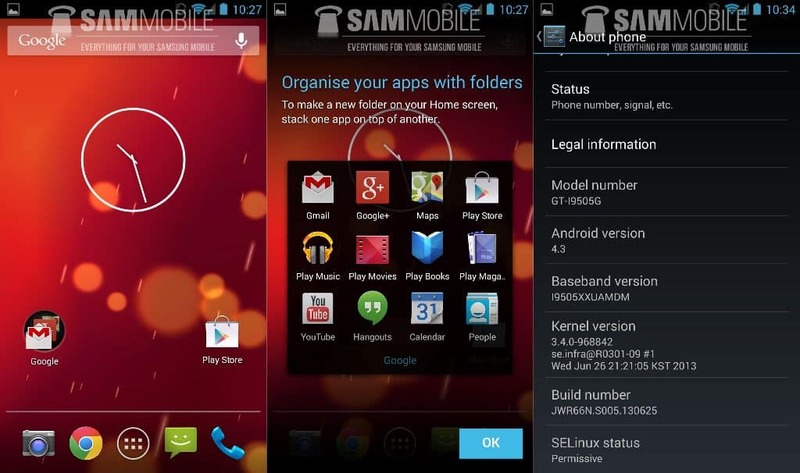 Alleged screenshots of an early version of Android 4.3 running on Samsung Galaxy S4″s Google edition variant have appeared online. Spotted first by Samsung focused website, Sam Mobile, the screenshots of the phone”s “About phone” page show the model number as GT-I9505G, which hints that the phone is the Google edition of the Qualcomm Snapdragon 600-powered Galaxy S4. The phone”s build number is JWR66N.S005.130625 in which JWR66N depicts the Android build while S005.130625 is Samsung”s internal naming convention for test builds. The site has also posted a screenshot of the Camera app which sports an updated user interface. The new Camera app”s options are more accessible than they are in the current stock camera app. The controls for HDR, exposure adjustments, settings and flash among others are placed in a curved line together. Interestingly, the same updated camera app is included in the Android 4.2.2 build for the Samsung Galaxy S4 and HTC One stock Android, Google edition variants. 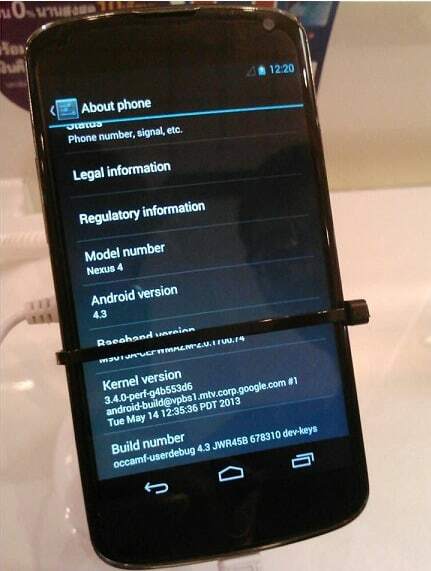 We had earlier seen the same camera app when a Nexus 4 running Android 4.3 was spotted at the Thailand Mobile Expo, last month. 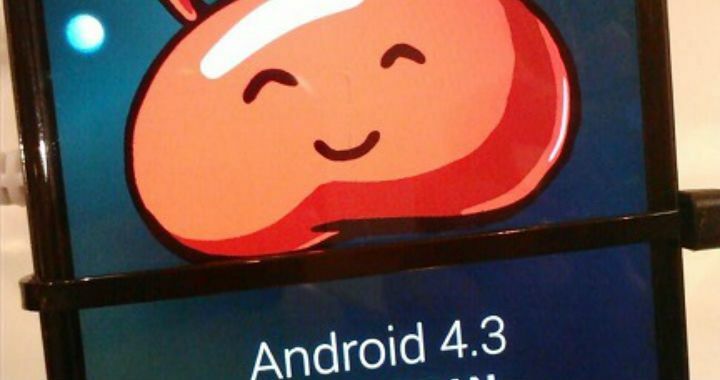 So, it”s possible that the Android 4.3 will bring the updated camera app, and Samsung was given early access to include it in Android 4.2.2 build of the Galaxy S4. Besides the updated camera app, Android 4.3 is also expected to feature native support for Bluetooth Smart Ready technology. The Bluetooth Special Interest Group in a press statement earlier confirmed that Google had committed to bringing support for Bluetooth Smart to future versions of the operating system. Bluetooth Smart allows compatible phones to take advantage of low power consumption with Bluetooth Smart ready devices like the Fitbit Flex or Pebble mart watch. The statement had said that the newest version of Android OS natively supports Bluetooth Smart Ready technology. While Google was expected to announce Android 4.3 during the Google I/O keynote, it chose to skip the announcement and instead made a slew of service and developer related announcements including new features for Google , the Hangouts unified messaging app, updated Maps, Google Play for Education, a music streaming service,and updated Search among others. Another report had claimed that Google would release Android 4.3 on June 10 along with the White colour variant of the Nexus 4 phone, but that did not materialise either.